http://massage-manhattan.com/ free streaming nuru massage. Microsoft announced its Outlook webmail service this week, and it’s a suprisingly robust new webmail client. But can it hold a torch to the current king of webmail, Gmail? 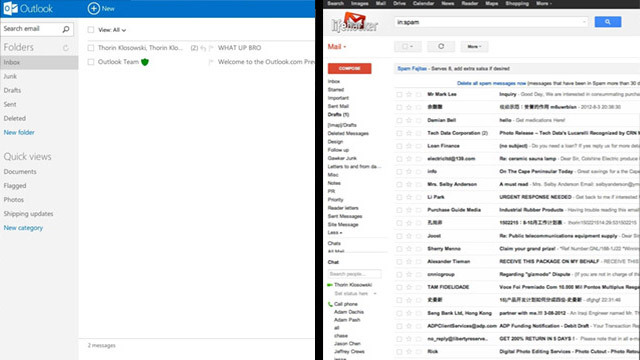 To give you a better idea of how they stack up, here’s a feature-by-feature comparison of Outlook vs. Gmail. Let’s start with the first thing you’re going to notice when you log into Outlook for the first time: the interface. Most of us are familiar with how Gmail looks and feels. Outlook’s not entirely different, but it is a little simpler. Outlook is all about email. That’s it. When you pop into Outlook, you’re shown your email account and nothing else. You still get ads on the sidebar, but overall, it’s a far less cluttered interface than Gmail (and it’s way less cluttered than Hotmail) because Outlook isn’t seeking to integrate with a bunch of other services. Ads are a little less creepy because they’re not based on keywords in your inbox. We all know Gmail’s interface pretty well at this point. You get personalized ads on the main inbox page on the top, and a sidebar with ads inside your messages. You also have the chat window on the side and the Google bar on the top. It’s not complicated by any means, but the Google bar is certainly a bit of a distraction. Email storage space isn’t as big of a deal as it once was, but if you’re sending a lot of large files back and forth, a hefty amount of storage is helpful. You get a “virtually unlimited” amount of storage in Outlook. This means your storage capacity grows with your inbox, and you won’t be throttled unless you appear to be a spammer. You can also attach a file of up to 100MB to any email. If you link your email to Skydrive you can attach files up to 300MB. Gmail’s limits on storage and attachment size are a lot smaller than Outlook’s. Out of the gates, most Gmail users get 10GB of free storage, and attachments are limited to just 25MB in size. 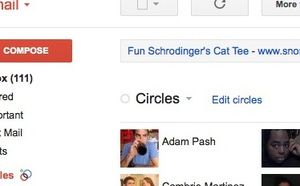 Like Outlook, Gmail opens up YouTube videos directly inline with the email. Gmail also handles Office documents in a similar way, and opens them in browser with the option to edit in Google Docs. Images in Gmail are handled with a pretty typical list view and don’t offer the slick sideshow that Outlook has. Outlook doesn’t have the robust filtering and labeling system that Gmail does, but it has a few tricks up its sleeve. One is the Quick View folders. These folders are automatically filled with certain types of emails (flagged, photos, office, shopping, etc). For instance, from the sidebar you can instantly search through the last few messages with photo attachments, or messages about Groupon deals. The Sweep feature from Hotmail also carries over to Outlook. Sweeping works a lot like Gmail’s labels where emails from certain people or places automatically get filed away in a folder of your choosing. Using Gmail’s labels is an easy way to keep track which emails are important and where they are. Better still, it’s simple to set up an automatic filter that combs your incoming mail and distributes messages directly into those labels. If you’re still overwhelmed, the priority inbox is a lifesaver for designating which emails really matter. Everyone hates spam, and no webmail client is worth using if it doesn’t have extensive spam filtering. Of course, it’s not just spam, it’s also the junk you’ve signed up for that matters (newsletters, mailing lists, coupons, and whatever else). Only time will tell how good Outlook’s spam control is, but one of Outlook’s coolest features is how it handles newsletter-type messages. Outlook automatically labels these messages and adds an unsubscribe button to them—even if the email doesn’t include one its own. It’s super handy for filtering out those emails you don’t mind getting, but don’t want alerts constantly. Here’s one of Outlook’s major bummers: it doesn’t support IMAP or POP. This means using certain third party email services (like Apple’s default desktop Mail app) won’t work. As reader Samantha82 points out, you can still follow the guide for using Hotmail with POP and that should work with Outlook. Instead, Outlook uses ActiveSync. Subsequently, you can only use email apps that support ActiveSync. 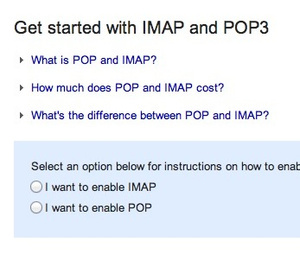 Gmail supports both IMAP and POP and you can switch your settings on the fly very simply. This means you can synchronize between multiple email clients very easily. It also means you can access your archived email even when you’re offline. If you receive hundreds of emails a day, then a solid search capability is key with any webmail client. You don’t want to spend more than a few minutes hunting down a lost email. Outlook’s search capability is pretty straight-forward. You can search by a simple keyword, or pop into the advanced search and narrow it down by email address, subject, folders, and dates. It’s nothing too complex, but it works well enough. Gmail’s search strings are pretty advanced. 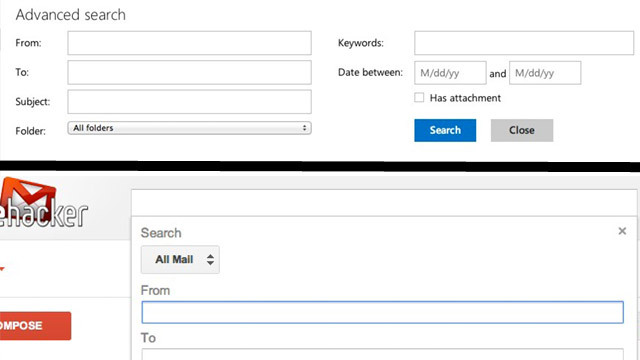 The nice part about Gmail’s search is that you don’t have to worry about a bunch of input boxes. Instead, you can just type commands like, label, list, or filename, directly into the search box. It’s fast and effective for quickly searching through email. Email is already inherently social, but if you’re looking to connect your various social accounts into your email, it’s increasingly easy to do. 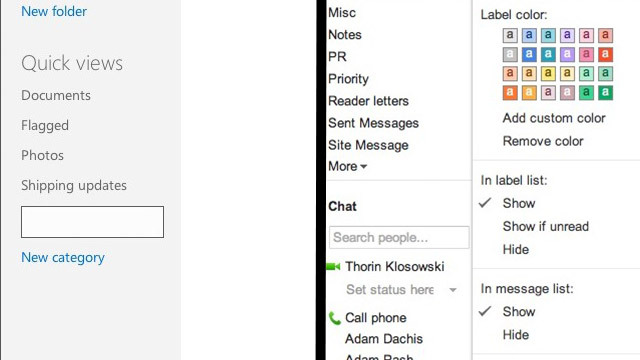 Outlook directly integrates with Facebook, Twitter, and LinkedIn. When you log in with any of those services, you’ll see status updates, link mailbox accounts, and more. From the sidebar you can retweet people on Twitter, comment on Facebook status updates, and more. If you don’t like the feature, it’s easy enough not to enable. Which One’s Best for You? 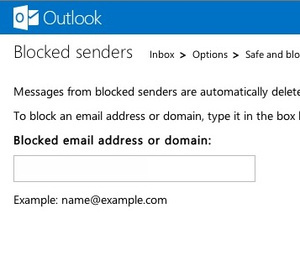 Outlook is the newcomer, but it’s a no-brainer for anyone currently using Hotmail. It’s also a good go-to for anyone who wants a webmail client that only does email. Its simplicity is its greatest strength. That said, Google’s integration with all of Google’s services is nice, and it’s advanced features and customization options are more appealing to the power user.